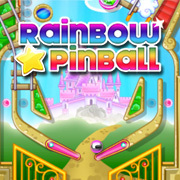 Rainbow Star Pinball – JohnstonCounty.Today Games! Show your reaction skills in this funny and colorful action pinball game. Discover the secret bonus round, collect as many points as possible and get the highest score! HINT! Go under Controls and turn OFF the automatic scrolling….we think it makes it easier to play!